CSLB has successfully teamed with Pacific Gas and Electric Company (PG&E) to hold accountable any contractor who jeopardizes pipelines by failing to obtain permits for Northern California excavations. The pipe protection program now is being expanded to Southern California in a CSLB collaboration with Sempra Energy, the parent company of SoCal Gas, and San Diego Gas & Electric. The utility companies will begin sending cases involving unauthorized digs/pipeline strikes to CSLB staff in Southern California for review. For the last year, CSLB has reviewed complaints from PG&E against contractors who allegedly showed a pattern of failing to obtain the required pre-dig permits or struck a pipeline during excavations. About 50 PG&E referrals have been reviewed so far by CSLB staff. Notification failures pose great danger to the public. Leaking natural gas from a punctured line can explode, while those who strike an electrical line are at risk of electrocution. Damaged conduits that carry fiber optic or telephone cables can disrupt services to the community and result in costly repairs. CSLB has the legal authority to take action against licensees for negligent pipeline breaks (Business and Professions Code section 7110). CSLB reviews the allegations and issues decisions that can range from dismissal of the case (usually for lack of clear-cut evidence) to license revocation in the most serious instances. 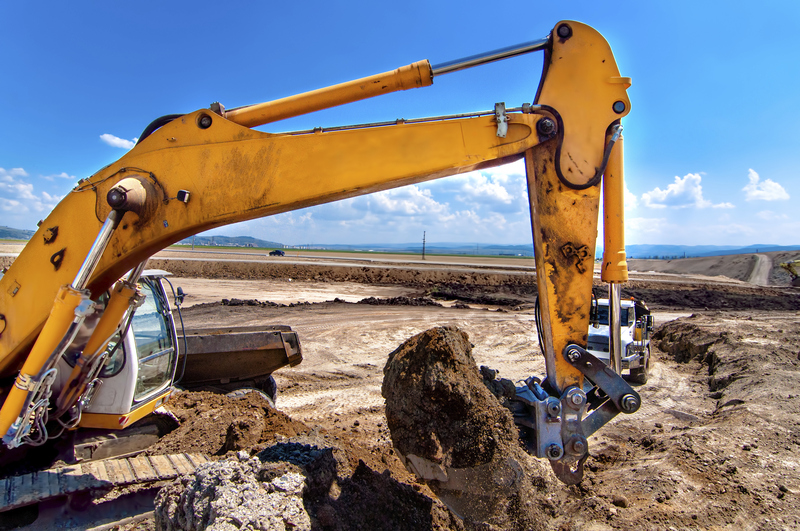 Excavators who fail to call 8-1-1 also are subject to a fine of up to $50,000, and can be held responsible for any repair costs if they knowingly and willingly violate Government Code sections 4216-4216.9, which cover excavations. The joint CSLB-PG&E effort to reduce pipeline incidents appears to be paying dividends. At a Senate subcommittee hearing earlier this year, CSLB's review program was credited with helping to reduce the number of pipeline strikes. No matter how minimal a project may seem, contractors who plan to dig or excavate are required to call 8-1-1 and at least two days beforehand coordinate with either the Underground Service Alert of Northern California (known as USA North) or Underground Service Alert of Southern California (aka DigAlert). Call 8-1-1 at least two working days, but not more than 14 days, before starting your dig. You are not allowed to dig during that time. Notification is required regardless of whether the project is taking place on public, private, or commercial property. If you accidentally strike a line, you must notify the affected utility, even if there is no visible damage; internal damage to the pipe may have occurred that can lead to future problems.